Old houses are just big pieces of furniture. In 2004 I took down Caldwell Springs. 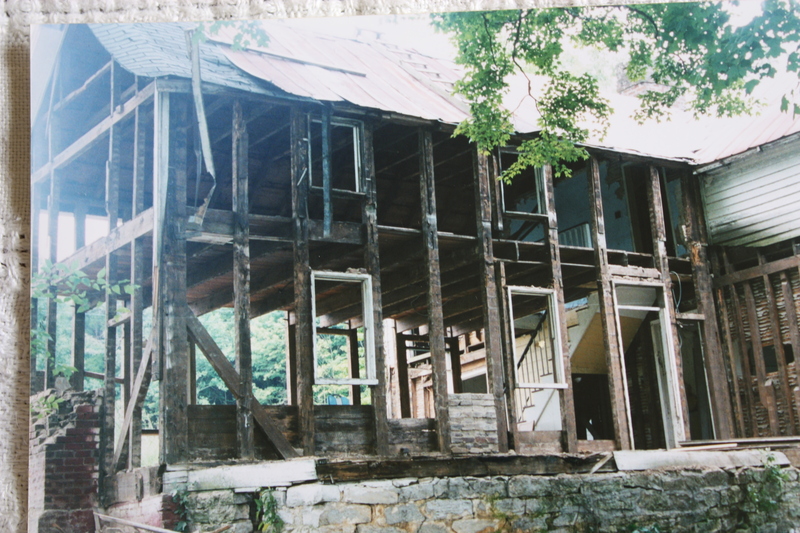 This house was built between 1812 and 1815 in east Knox Co.. It is in a Tidewater style of timber framing.The wall were noggin infilled. 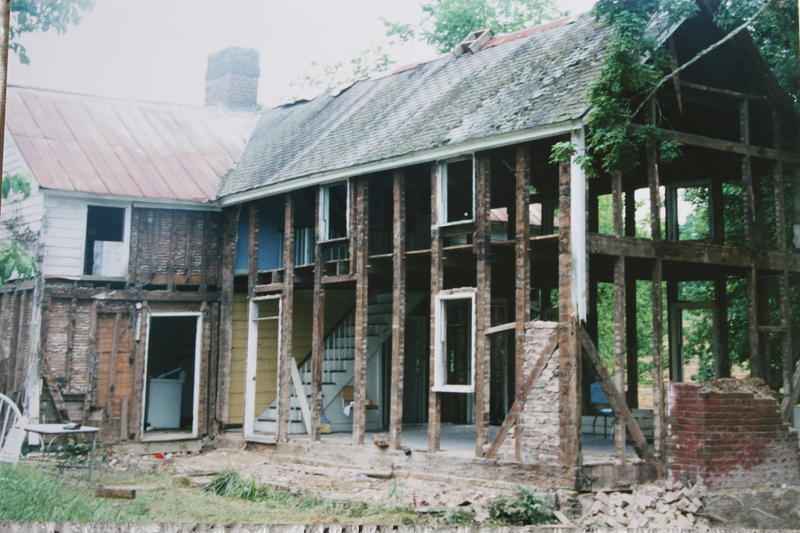 This is the back side of the house with the clapboard removed. There is a later addition in the left of the photo. I did not bother with the addition. I was given 14 days to take it down or it would have been bulldozed down and burned. It took me 16 days to take it down. The fellow was very kind to give me two more days. This is the front of the house. The porch was original to the house. There was some water damage to the left front side of the house. The house measured 16″ X 28′.